I will try to tease out a few more game assets to share as time goes by. Below is selection of graphics for the level "Dark Tomb". You will notice that the foreground tiles are mostly symmetrical, This will change overtime. 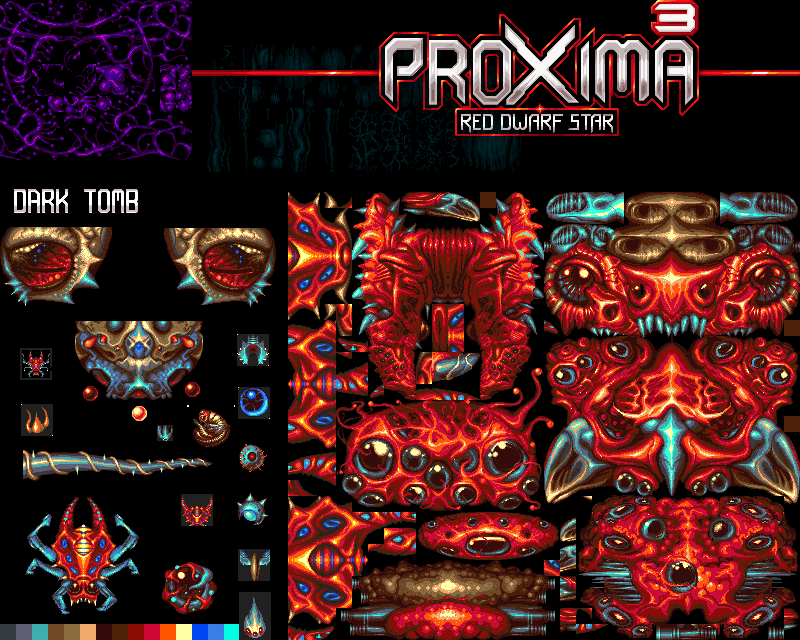 The colour palette "bottom left" is almost finalised (16 colours).